West Orange-Cove CISD’s $25.75 million dollar bond passed with a 62% of voters in agreement with 38% of voters in disagreement. A school bond election is when a school district holds an election seeking approval from the voters for the purpose of generating revenue. The Bond revenue can only be used for new construction, renovations to existing facilities, land possessions and other approved items associated with providing school facilities. The money that is earned from the bond sales cannot be spent on personnel or operating costs associated with daily operations of the school district. The revenue from the bond can have no impact on personnel salaries, benefits, or potential future raises. West Orange-Cove CISD is considered a Chapter 4I or property wealthy school district and thus the school district is subject to spending money to the state each year for distribution to other school districts. However, the funds that are generated from the bond sales are used to improve facilities in West Orange-Cove CISD are not subject to recapture formulas. The bond allows the West Orange school district to invest in the school and the community by improving the facilities without having to share a part of the revenue with the state. The long-term projects like the new campuses, for instance, will last for 50-60 years and therefore will be financed for 25 years. While the technology equipment will only last for approximately 5 years and will only be financed for 5 years. The school district does not want to be paying for any project beyond how long it will last. 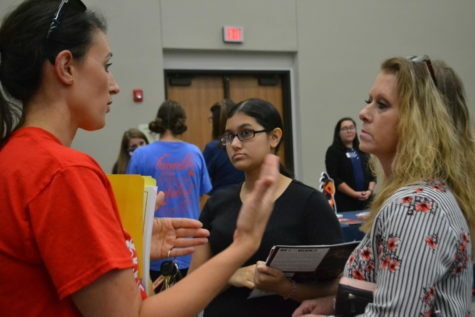 A community survey was conducted by an independent third party to determine if the voters in West Orange-Cove CISD would approve the proposed major projects. THE major projects received a favorable rating at more than twice the margin-of-error for the survey – which indicates strong support. The survey was conducted both by the phone and by the internet from July 16 through July 25. The survey had a 95% confidence factor and a 5.36% margin of error. Some of the proposed major projects include safety and security, HVAC, bleachers, infrastructure, technology initiative, classroom furniture and equipment, fine arts improvements, and a new transportation center. The West Orange-Stark High School has specific structures that with the new bond that they will be upgrading, such as, the softball, baseball, and football fields. Along with the improvements to the fields the West Orange school district is hoping to add a new event center. The Safety and Security part of the bond will be granted with $800,000, this part of the bond has a 90% favorability of being passed. Minor projects that are included under the Safety and Security are Campus security vestibules, door hardware with enhanced locking capabilities, and campus security cameras. The HVAC, bleachers, and Infrastructure subheading of the bond will be granted $2.1 million dollars of the 25.75 million dollar bond. With an 87% favorability in being passed. The WO-S High will be granted an entry door replacement, new fencing, signage replacement, roof replacement of building “A,” and chill water piping insulation. The technology Initiative will be given $1.9 million dollars with a passing rate of 85% favorability. Projects within the category include updating the computers for student and teacher use in all computer labs and classrooms, providing interactive panels in all classrooms, and enhancing projectors to incorporate educational virtual reality opportunities. The classroom furniture and equipment has an 84% favorability with $2.2 million dollars going towards updating classroom furniture to provide collaborative, hands-on learning opportunity for all students. The Fine Arts will be receiving $300,00 with an 85% favorability this will include the Elementary receiving acoustic treatments in the gymnasium, the Junior High getting stage improvements, and the High school receiving stage, band hall, and choir room improvements. The West Orange-Cove CISD would like to have a new transportation center that has 71% favorability spending $2.1 million dollars to construct a new transportation facility and installing bus canopies. The High school softball field has a 64% favorability and was granted $750,000 dollars to replace the scoreboard, add canopies over the existing bleachers and install artificial turf. The High school’s baseball field has been granted $1.4 million dollars with a 62% favorability, the projects with this category include replacing the scoreboards, refurbishing the existing bleachers adding an ADA ramp and installing artificial turf. The High School has been granted $2.9 million dollars with a 69% favorability for the High School football. The projects will include installing stadium seating, building a new press box, installing artificial turf, and improving visitor parking. The High School event center has been given $11.3 million dollars with a 67% favorability the projects that are included with this expansion will be as follows the current P.E. gym into a weight room, installing competition gymnasium flooring and lighting, and constructing a new competition gymnasium for district-wide use. While most school district no longer give the local tax exemption the WOCCISD school board has maintained the exemption for the homeowners. There are only two exemptions that reduce the appraised value before taxation: the state providing an automating $25,000 exemption and/or the district giving an additional 20% homestead exemption. The total amount of the school bond issue is $25.75 million dollars. The Citizens Advisory Committee has considered other projects but in order to keep the bond issue affordable for members of the community, priorities were established to minimize the tax increase. Some of the tax examples include a home appraised at $50,000 would have an increase in school taxes of $12.05 per year, or roughly a dollar per month. A home appraised at $90,000 would have an increase in school taxes of $37.77 per year, or about $3.15 per month. A home appraised at $150,000 would have an increase in school taxes of $76.33 per year, or about $6.33 per month. It is highly unlikely that the tax rate would increase throughout the length of the bond. As a school districts value increases over time the tax rate may be reduced or debt may be repaid at a faster rate. There is a projected 8 cent increase in the school tax rate, however, the estimated and final rate increase may be less than 8 cents. Taxpayers who are 65 years of age or older and have filed the appropriate tax exemption will not see an increase in the school taxes they pay on their home. The “65 and older” exemption freezes the amount of school taxes they pay at the time the exemption is filed.